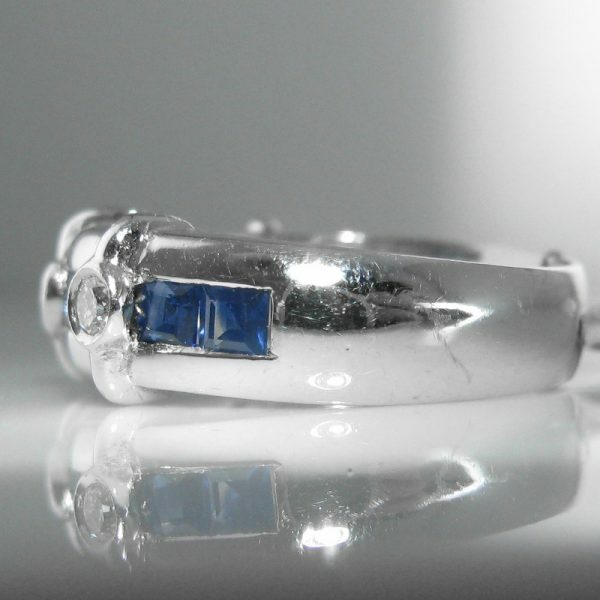 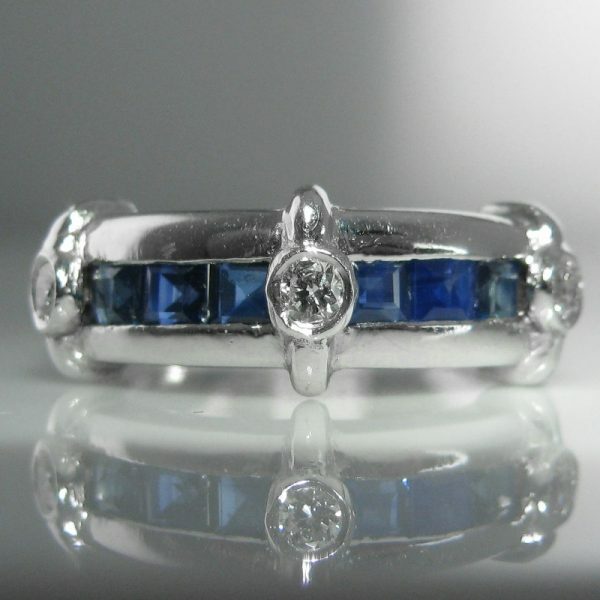 Diamond and sapphire ring in 18k white gold. 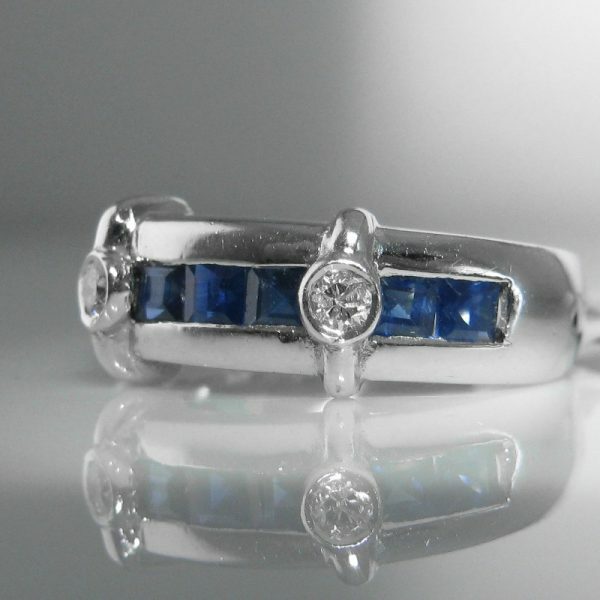 This ring has ten square cut natural sapphires in a channel setting along with three round brilliant cut diamonds. 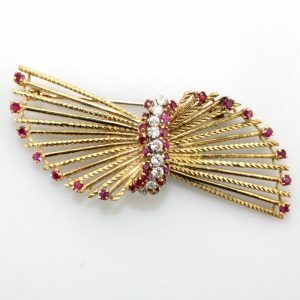 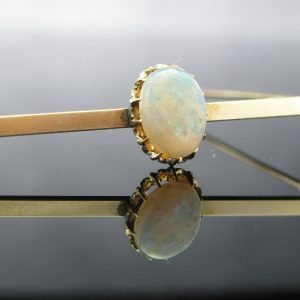 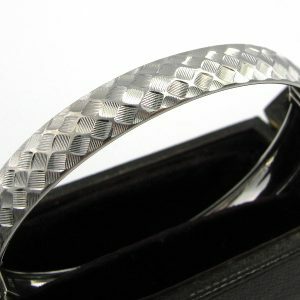 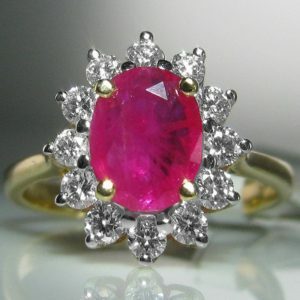 This is a very pretty ring and it look substantial on the hand due to its significant 7.5mm width. 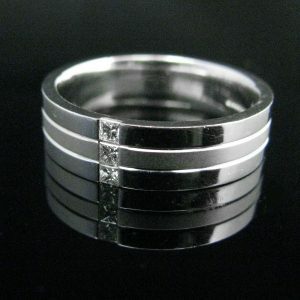 The ring is size M.